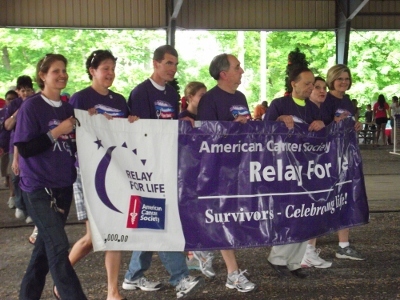 Here are some photos of the McMinn County Relay for Life for 2012. Event sponsors and teams identified themselves by wearing brightly colored t-shirts. Smiles were the uniform accessory of choice. 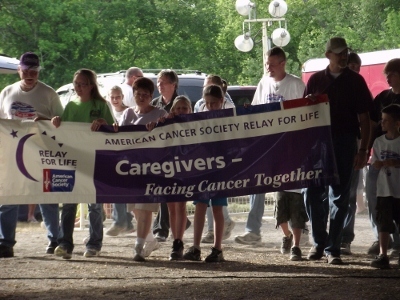 People were upbeat as they caught up with old friends and made new ones at the McMinn County Relay for Life. Despite the enjoyment of the crowd no one overlooked the solemn reason for the event. 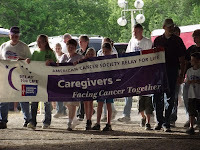 Who needs the Avengers for role models when you can look up to cancer survivors and caregivers? This was the place to be to see courage in action. I witnessed several people become teary when the team of cancer survivors walked their lap. Each person who walked did so with a contagious spirit of bravery and determination. More eyes moistened as the caregivers lap began. Moving and inspirational defines my first experience with a Relay for Life event. 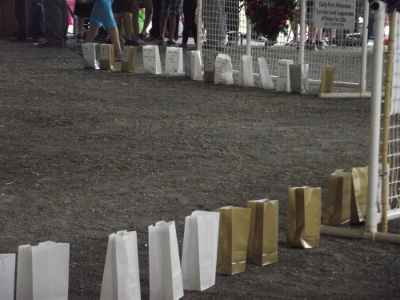 Like many others, I have donated in the past, purchased a luminary or made a small memorial gift in honor of my mother. Now I find myself reevaluating if that's enough. Last night, the number of people who become stricken with cancer hit home. What struck me the most is the huge number of cancer survivors who move not to not merely survive, but to thrive. The photos speak for themselves. 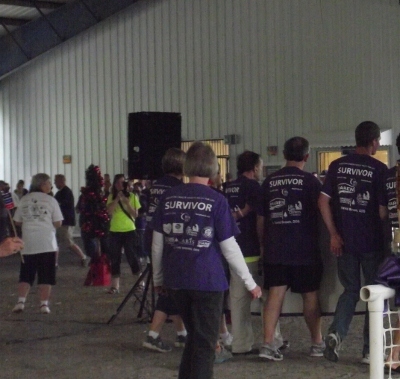 My pre-event post Relay for Life Event in Athens, Tennessee has a brief rundown on who performed and when.